Local Trust staff and trustees were saddened and shocked by the news of the attack in Manchester on Monday night. Our thoughts are with those who are injured, and the families and friends of those who lost their lives. We are sure that this is a reaction shared by all of those involved in Big Local across the country. The response of Manchester's communities to the horrific events of Monday night has been deeply moving, showing how ordinary people can come together and meet even the biggest of challenges with bravery, resourcefulness and a sense of shared humanity. For Big Local areas in Manchester, the work you are doing as leaders and enablers within your communities will be ever more important after this week. 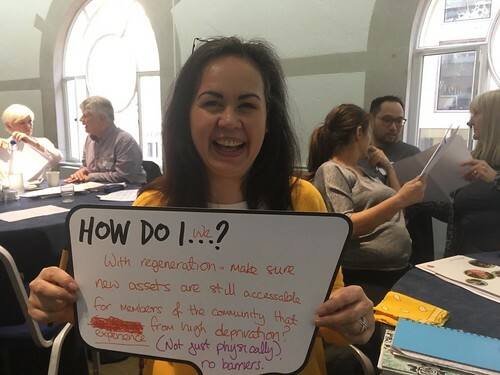 We know that community tensions can rise after attacks and that the best ways of overcoming those tensions are through the building of trust, collective endeavour and a sense of shared community – values that lie at the heart of the Big Local programme.